Listening Ed-Media winning presentation “Students’ problem-solving as mediated by their cognitive tool use: a study of tool use patterns. The study is very similar by methodology what we have been doing in Young Scientist environment. 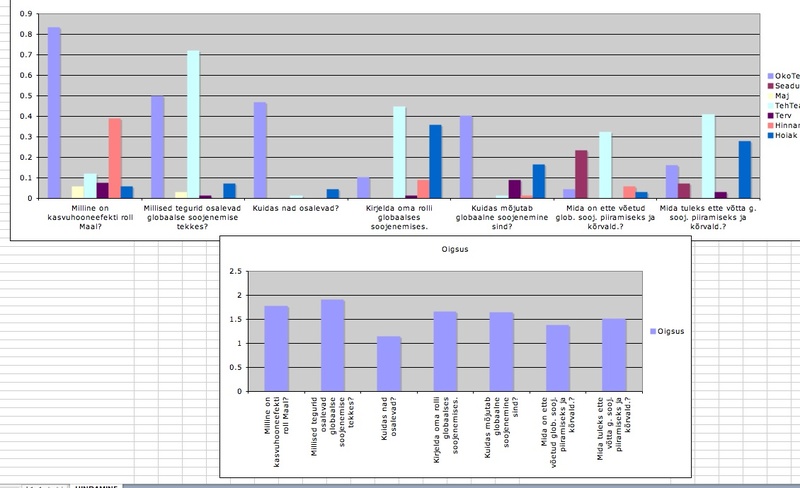 For example, they analysed log-data of tool-use, self-report data of tool use (questionniares) and stimulated recall of tool-use. Next the datasets were triangulated. However the results of these data were a bit disappointing, showing the frequency patterns of tool-use and explaining it with students’ preferences. Certain tools were used more in the beginning, in the middle several tools were used simultaneously and in the end the use of cognitive tools decreased. Cognitive load was related with understanding the problem. This seems the most interesting aspect in respect of my own studies with Young Scientist. I could pose that the reasons why cognitive load emerged or did not emerge was related with my ideas about perceiving the elements of the problem as a complex translation-system or not. And the cognitive load might have not been the same for all students. Tools were used for different problem-solving tasks. Stimulated recall data were analysed using Strauss’ and Corbin’ Grounded Theory Approach. Patters of students tool use were consistent with the recall and log-records. Findings confirmed that there is a relationship between cognitive tool use and certain cognitive processes in problemsolving. Yesterday when talking with my student Lenel Zimdin about categorizing her qualitative data about environmental awareness issues she came up with an interesting observation. We have conducted the questionnaire where we ask about global warming, greenhouse effect, ozone layer depletion, acid rains and air pollution questions: what it is, who causes it, what are the causes, and what strategies to use to solve the issues etc.. Next these questions are categorised according to the correctness and context. The whole idea is to investigate the relationships of conceptual and contextual dimensions. Lenel mentioned her problems of categorizing the correctness of attitude type of questions (eg. i think global warming does not influence me very much..). Then we were discussing that actually the correctness can be measured only by using some etalon – like scientific knowledge. And in case of the questions when people can have various opinions (which is the case in all dilemmas), correctness becomes subjective and impossible to assess. We discussed that teachers do not think of this relative correctness idea at all, when grading at school environmental awareness. This correctness categorization issue did not appear in the study of my other student Eneken Metsalu. Her questionnaire was similar, but the categorization considered global-local aspects as the contexts. Lenel, however, considers values, technology, legislative, economic, ecological-scientific and evaluative comparisons etc. as her contextual dimensions. Here is a figure of some periminary analysis about awareness questions contexts and correctness (means). It was one round in The Journal of Learning Sciences, and i had the deadline on me since february to write it by may for resubmitting. Of course… i could find time and emotional power to do it only now. But i think it is much more consistent now. The study investigated two properties of conceptual coherence: cohesiveness and consistency of conceptual knowledge. The effect of model-based inquiry with “Young Scientist” as the learning environment on primary students’ conceptual understandings about seasonal changes and their conceptual development was studied with 176 fourth-graders. The study also focused on the influence of students’ different cohesive conceptual sets of knowledge on their conceptual consistency when inquiring about the season’s phenomenon in different contextual situations. Data about students’ knowledge were collected with essays and from the “Young Scientist” environment by inserting multiple-choice items. Qualitative content analysis, K-means and discriminant analysis, and Chi-square and ANOVA procedures were used for data analysis. Five conceptually cohesive explanatory sets of knowledge about season’s phenomenon were identified. Students with different initial explanatory sets of conceptual knowledge about the causes of seasons behaved with low conceptual consistency in the inquiry phases of the “Young Scientist” learning tasks, indicating that they might have constructed the explanations newly in each phase of the inquiry rather than consistently identifying the knowledge framework of their initial explanations. The results of the study favour the application of the contextual activation of resources ideas in building the inquiry learning environments for promoting conceptual coherence development. So meet me in EdMedia 🙂 Vancouver in June. A very detailed and interesting paper, with some good (if complex!) analysis of the results. The conclusions could have been more in depth – for instance, it is mentioned that serveral aspects have been discovered from the experiment but it is unclear how these aspects will be clarified or investigated further. Overall a very interesting idea well presented. Perhaps I will also be part of the Symposium Getting beyond centralized technologies in higher education Sebastian Fiedler is planning. He has invited me to replace Barbara’s presentation. He has invited Robert Fitzgerald, Brian Lamb, Bryan Alexander, Scott Wilson and George Siemens to participate at this symposium. For some years i have been conducting research in multi-representational learning environments. What i mean by those is envornments where student is presented to various information sources from different contexts and representational types and expected to construct knowledge through problem-solving, decision-making, designing or inquiry activities. Some examples of those are presented at the biology materials web-page of my unit, but there are plenty of nice environments one might take a look like WISE, Lake Illuka, Nardoo River (those you need to buy), BGuile (downloadable) and others. My ideas of these environments are related with conceptual learning in general. 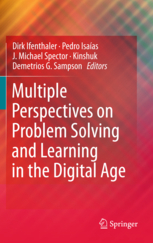 Major idea is not to look and describe separate principles of multimedia instruction like Richard Mayer has done (e.g. Principles of Multimedia Learning from Cambridge University Press from last year), but analyse these environments at larger grain size. What i mean is looking the semiosis possibilities these environments afford to the learners who act in them. The key ideas are, which translation borders these environments have, and how do the translation possibilities become realised by learners. The concepts i have played around with are: awareness of learning objects in the multi-representational environment, translation between contextual and representational systems, which do not have total overlap in information, cognitive load in these systems..and i think, also the affordance ideas have been used at one paper to some extent. 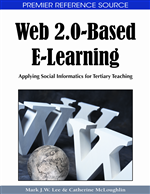 The latter needs a new refresh look because i have worked on that concept for some time in web 2.0 learning domain, and it is about time of translating those ideas into new context and see what would happen. Why i am writing about all of it today, is because i will have a lecture on saturday about these issues, and i prepared my presentation (in estonian) to elaborate the multi-representational environments. I think it would be a good idea to write of this approach as a generalization of semiotic ideas in learning design. – inferring about the situation, which adds coherence, this supports the situational activation ideas of cognitive resources which Hammer et al. suggest. – beliefs fluctuate during the situation, but the way beliefs in propositions influence each other are laws of nature that remain constant, it seems the framework is emergent and situation dependent, but the second half of the claim seems to contradict with it a bit, but also referrs to some consistenscy idea. Consistency over time. Causal knowledge does not depend on the moment in the story. Although the belief in propositions fluctuates during story time, the way beliefs in propositions influence each other are laws of nature that remain constant. Several researchers have suggested distributed representations of propositions. Every dimension of Golden and Rumelhart’s situation space corresponds to exactly one proposition, so propositions are represented locally in this space. Propositions are represented by vectors in a high-dimensional situation space. However, there is no one-to-one correspondence between propositions and dimensions of the distributed situation space. The inferences contribute to the stories’ coherence. Although inferences do not result from a search for coherence, they do cause story coherence to increase. I am continuing taking some notes for the refinement of my paper. In general, it seems that the ideas which i had in writing my paper are quite similar with the ideas below, and i can refine some parts using their terminology. I like the context dependent pattern of activation idea. In J. Mestre (Ed. ), Transfer of Learning: Research and Perspectives /working title/. Greenwich, CT: Information Age Publishing. We often focus on whether and how students apply what they know in one context to their reasoning in another. But we do not speak in terms of transfer. The term connotes to us a unitary view of knowledge as a thing that is acquired in one context and carried (or not) to another. We speak, rather, in terms of activating resources, a language with an explicitly manifold view of cognitive structure. Barnett and Ceci (2002) have developed a taxonomy, listing phenomenological aspects of where and when to look for transfer, such as the knowledge domain, the physical setting, and the time. Their taxonomy also distinguishes what kinds of knowledge might be transferred (procedures, representations, or principles) along with observable features of performance (speed, accuracy, approach). (2) the role of metacognition or metacognitive scaffolding in supporting transfer. The standard references cited in the literature pay little direct attention to the ontology of cognitive structure. What elements of cognitive structure do researchers attribute to the knowledge or ability they are investigating, to see whether it transfers? The tacit, default stance, as Greeno (1997) identified, is to think of the knowledge or ability as a thing that an individual acquires in one context and may or may not bring to another. We describe this as a unitary ontology (Hammer, 2004b), thinking of the particular piece of knowledge as an intact cognitive unit, in close correspondence with the observable idea or behavior, be it a principle, fact, or procedure. Cognitive science research has been pursuing an assortment of particular models (diSessa, 1993; Minsky, 1986; Thagard, 1989). Here we proceed from the most general assumptions about manifold structure and use the generic term resources to refer to components in that structure. Our framework ascribes cognitive objects to individual minds, but at a finer grain-size than concepts or abilities as people experience them. In this view, knowledge and experience are emergent, analogous to other emergent phenomena in complex systems, in which the things we see—traffic jams, birds flocking, and so on—emerge from many small agents acting in local concert. In other words, we need to be alert to the tendency to thingify experience (Minsky, 1986; Wilensky and Resnick, 1999). In a resources-based framework, we can view learning an idea not as the acquisition or formation of a cognitive object, but rather as a cognitive state the learner enters or forms at the moment, involving the activation of multiple resources. Transfer would then be understood in terms of the learner entering or forming a similar state later in a different context. The activation of finer-grained cognitive resources should often depend on the social and physical environment such that the resulting knowledge can coherently be attributed to the overall system (people + environment). The difficulties of drawing boundaries around the concept of transfer stem from an ontology of cognitive structure that is both tacit and unitary. We start with a review of this manifold ontology of mind, contrasting the notion of conceptual and epistemological resources with unitary views of (mis)conceptions and epistemological beliefs. 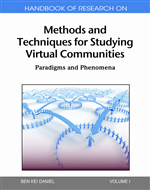 We then review research from linguistics and cognitive science on framing, which provides a complimentary perspective to research on transfer in that the core phenomena it describes are the context-dependent coherences of individual’s interpretations of social or natural phenomena.In our ontology of cognitive structure, framing corresponds to locally coherent activations of resources. A view of manifold resources provides a more generative basis for curriculum and instruction focused on student knowledge and reasoning. understanding. In some cases, attributing robust conceptions is appropriate, but resources-based accounts afford the alternative of understanding the conception as a local or momentary activation of another sort of cognitive structure. diSessa’s accounts of phenomenological primitives (diSessa, 1993) and coordination classes (diSessa and Sherin, 1998), for example, attribute cognitive structures at other levels, as minigeneralizations from experience whose activation depends sensitively on context. DiSessa and Sherin (1998) discuss coordination classes as internally coherent networks of primitives and readout strategies. Thagard’s (1989) model of explanatory coherence among propositions models locally coherent networks of propositions. In the misconceptions view, the students’ explanation is assumed to stem from pre-compiled knowledge that is simply wrong, in contrast, according to our resources-based interpretation, the student compiles her explanation in real time from conceptual resources that are neither right nor wrong. In a conceptions framework, it is difficult to account for why students would so quickly and easily drop a robust conception. In contrast, a resources framework readily explains — and even predicts — these kinds of shifts. The term frame generically to refer to a locally coherent set of activations.Frame is an individual’s interpretation of What is it that’s going on here? We posit the existence of numerous metacognitive and epistemological resources, including ones for understanding the source of knowledge (Knowledge as transmitted stuff, Knowledge as fabricated stuff, Knowledge as free creation, and others); forms of knowledge (Story, Rule, Fact, Game, and others); knowledge-related activities (Accumulation, Formation, Checking, and others); and stances toward knowledge (Acceptance, Understanding, Puzzlement, and others). Preliminary empirical work suggests that, perhaps to a greater extent than conceptual resources, epistemological resources tend to become activated in locally coherent sets. Thinking in terms of manifold cognitive elements allows models of mind that can respond differently in different moments. Along with Tannen (1993), we seek evidence of framing mainly in speech and other communicative acts. By a frame we mean, phenomenologically, a set of expectations an individual has about the situation in which she finds herself that affect what she notices and how she thinks to act. An individual’s or group’s framing of a situation that can have many aspects, including social (Whom do I expect to interact with here and how? ), affective (How do I expect to feel about it? ), epistemological (What do I expect to use to answer questions and build new knowledge? ), and others. Turning back to ontology, we take framing as the activation of a locally coherent set of resources, where by locally coherent we mean that in the moment at hand the activations are mutually consistent and reinforcing. The phenomenology of framing corresponds, in this model, to a distributed encoding—the interpretation is distributed across a network of cognitive elements rather than located in any particular one.Frames can often shift easily. In our theoretical perspective, framing generally involves the activation of numerous low-inertia cognitive resources rather than a single, high-inertia cognitive unit. Therefore, the resulting cognitive and behavioral stabilities are local to the moment. However, as we noted, when the same locally coherent set of resources becomes activated again and again, it can eventually become sufficiently established to act as a unit. We do not rely entirely on passive reframing, in which contextual cues cause reframing to just happen in our students. We also appeal to active reframing, encouraging students to monitor actively their approach to learning. In other words, we try to get students to take an intentional stance toward epistemological framing. We discuss three mechanisms by which a set of resource activations becomes stable, that is, reliably mutually activated and locally coherent within a given context. One mechanism is structural: If resources have become compiled into a unit, their mutual activation and coherence are built into the cognitive structure itself. 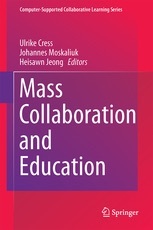 diSessa and Sherin (1998) and diSessa and Wagner (this volume) discuss such a unit as a coordination class. A set of resource activations can also be locally coherent for non-structural reasons. Learner must actively monitor her thinking to ensure that her resource activations are globally coherent, rather than relying on features of the context to enforce that stability. We are identifying three mechanisms for stability in a set of resources. One is contextual, a passive activation based on the situation, where by passive we mean that the pattern forms and persists without metacognitive resources playing any role. A second mechanism is deliberate, meaning that it involves epistemological /metacognitive resources. To reason in a manner consistent with the Newtonian definition of force, a learner generally needs to monitor what conceptual resources she is activating and how. can have its own activation conditions, passive or deliberate. But once activated, the internal coherence in the resource activations is automatic. By context, for an individual with respect to a set of resources, we mean the circumstances for passive but reliable activation. If learning X in some context means that students reliably show that knowledge or ability in that context, there is no reason to expect that X exists other than as a pattern of activation in that context. If its activation and stability as a set depend on features of that context, as is the case in passive activation, then the knowledge is not well attributed to the individual; it is distributed across the individual and the context, and therefore cannot be viewed as a thing the subject could move (transfer) from one context to another. Tannen, D. (1993). Framing in discourse. New York: Oxford University Press. Barnett, S. M., Ceci, S. J. (2002). When and where do we apply what we learn? 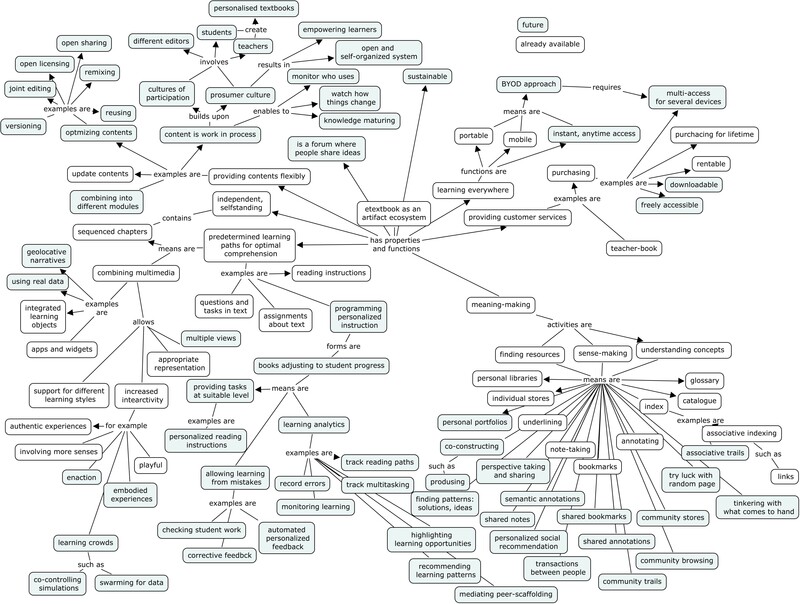 A taxonomy for far transfer. Psychological Bulletin, 128(4), 612-637.
diSessa, A. A., Sherin, B. L. (1998). What changes in conceptual change? International Journal of Science Education, 20(10), 1155-1191. You are currently browsing the archives for the coherence category.